Handcrafted Copper Necklaces - Copper paired with turquoise. Copper paired with gemstones. 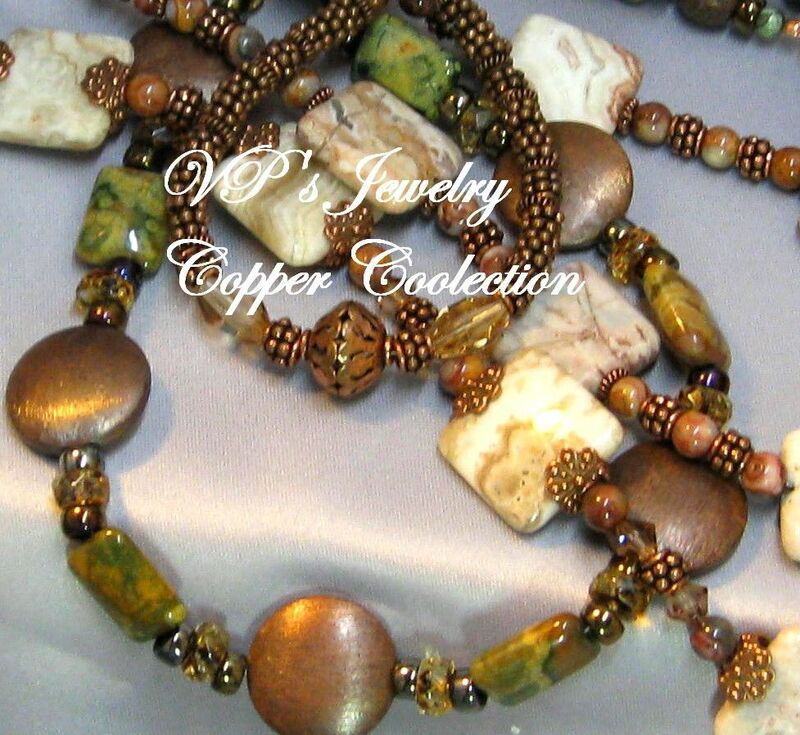 Copper paired with copper are all here in VP's Jewelry copper necklaces. Try a pretty copper necklace for your 7th Wedding Anniversary.